The Inch Hammond law firm is based in Ontario, Canada, where our practice encompasses a full range of corporate and commercial law. Our clients range from multinational corporations to small start-up businesses covering sectors in e-commerce and information technology, manufacturing and distribution, financial services, food services and hospitality, construction and development, communications, franchising, retail services and healthcare. The law firm embraces an entrepreneurial philosophy, and constantly strives to understand and assist the underlying business objectives of its clients when structuring transactions, engaging in litigation or providing ongoing legal advice. While Inch Hammond is among Canada's oldest law firms, having been founded in 1858, our culture is young and progressive. The firm's lawyers take pride in providing innovative solutions and ideas to serve the clients' interests and undertake the carriage of files with dedication, perseverance, and intellectual discipline. The atmosphere, while professional, is informal, and decidedly non-institutional. As a consequence, the firm has a distinguished reputation not only for its expertise, but also for its humour and eccentricity. 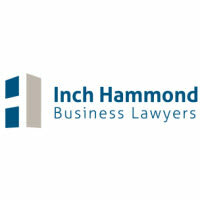 Inch Hammond comprises 15 lawyers who practice solely business law. It delights us to describe the firm in terms of a nautical military metaphor: we are not a large and unwieldy battleship which turns slowly; our ship is a fast and nimble missile platform which reacts quickly and decisively. It may be worth noting that fast and nimble missile ships are far less costly than battleships. The metaphor should not be taken literally, as we rarely dress in sailor suits, answer each other with "aye aye" or sing sea shanties after work with a mug of grog. Except on Fridays.